It seems like only yesterday that our weather news people were going out of their way to assure us that the building rash of storms, extreme heat and droughts were part of a natural order of things. They went out of their way to avoid any reference to global warming. The words “weather change” and “global warming” still don’t come up often but even the world’s corporate news agencies are no longer ignoring the devastating blasts of abnormal weather that are slamming us now. After going through the hottest year the world has ever recorded, and experiencing some super cyclones that slammed the coasts of Australia and Southern and Eastern Asia, headlines this week are on two major storm fronts that marched across the middle of the United States, dumping so much rain that the Mississippi River is now cresting at record flood levels. It is overflowing levies that were designed to hold flood waters back during extreme floods. The UK is suffering from flooded cities caused by yet another winter storm of “unprecedented” extremes. And this is only what happened in December. A lot of holiday travelers found themselves stranded as airports shut down and highways were closed in the Northeast and Middle portions of the United States at both the Christmas and Thanksgiving holidays. Now comes the news that warm surges of air have reached the North Pole. 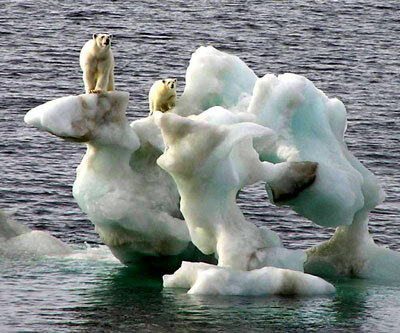 The ice there is in meltdown as temperatures are recorded Wednesday at 42 degrees Fahrenheit. Take that you foolish “deniers” in Washington. Take that you gang of presidential candidates. You are going to be forced to talk about weather change before the election and what you say make make a big difference among potential voters. Either we do something drastic to head off this speeding freight train of affliction or we are all in big trouble. It is coming at us faster than anybody first believed.